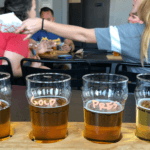 Plan a corporate party your team will love. 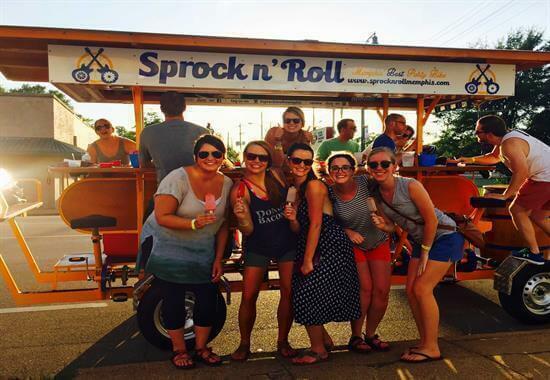 Treat your clients to something new and different with Sprock n’ Roll party bikes! 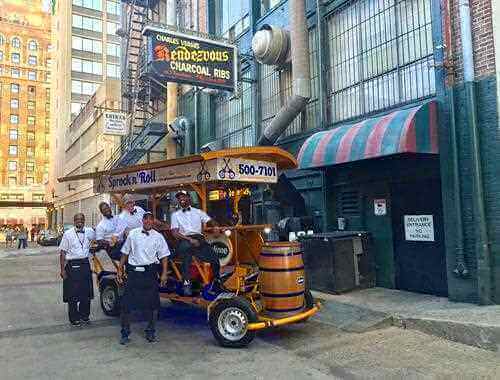 Get your employees out of the office and on the seats of our pedal taverns to show appreciation, to do some Memphis team building, or to entertain out of town guests. We have many options for corporate entertaining and are happy to cater to your needs. This is an experience your clients and/or team will go nuts for! Details: One bike can accommodate 6 – 16 people. We have 4 bikes at your disposal to entertain a group up to 64 people. BYOB. Aluminum cans, boxed wine, pre-mixed cocktails are all acceptable. You may also utilize our pony keg specials. 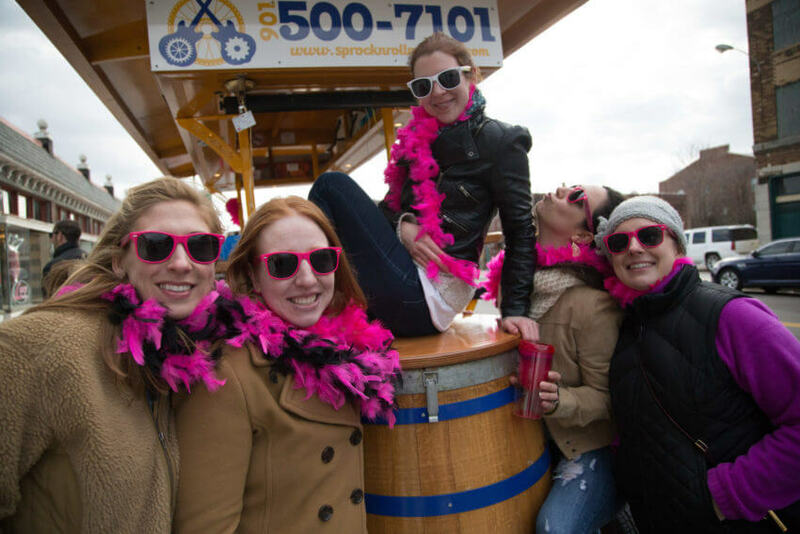 For corporate events and the rental of both bikes, we add 20% gratuity for our guides at time of booking. Additional hours will be $180+tax. 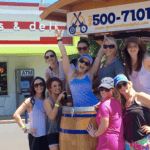 Call 901-500-7101 to book your corporate outing. 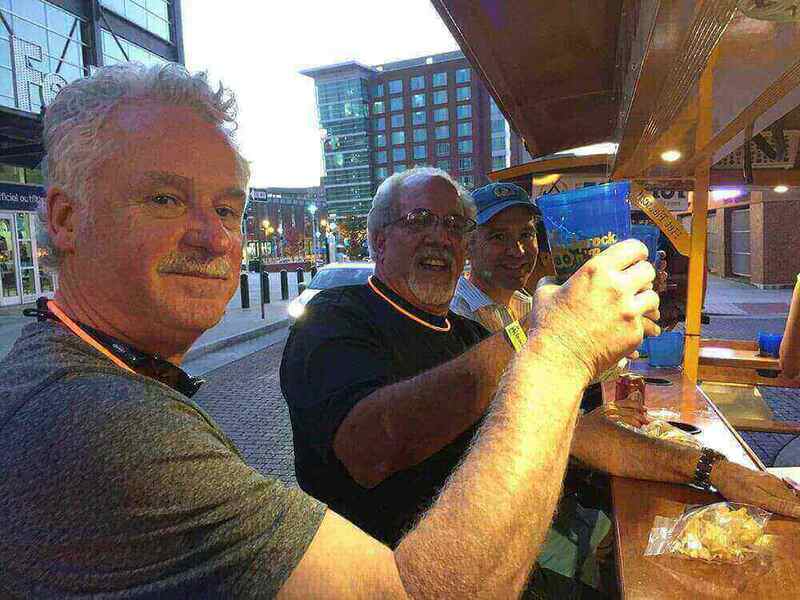 If you would like more time on the bikes or would like to stop and eat at a restaurant along the route, we are happy to accommodate you and customize your Memphis team building to your liking. After all, you are the boss! 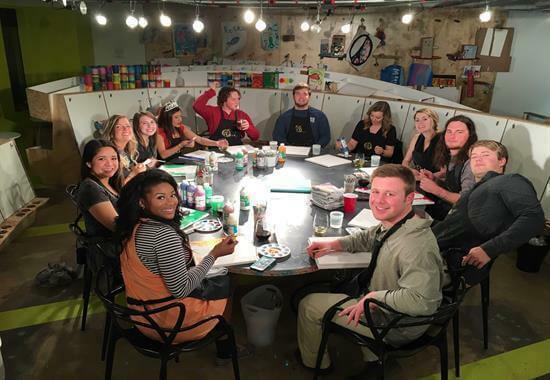 If you want your Memphis corporate event to include more than bars, we offer great dinner tours and our artsy fartsy tour where you can sip and paint as a team! It isn’t Memphis team building if it doesn’t include a great team photo – our drivers double as photographers! Take advantage of them for the next Xmas card!